– Guanabana or soursop (Annona muricata) Guanabana restores liver function which contributes to the reduction of cholesterol and triglyceride levels to normal. – Pepper (Piper nigrum) Scientific studies have shown that taking pepper regularly in the diet results in an important decrease in cholesterol. These effects are due to piperine, an alkaloid present in the pepper which appears to act on cholesterol levels. Studies conducted in U.S., showed that orange peels (Citrus sinensis), rich in flavonoids (Tangeritin and nobilitin), managed to reduce by 40% the level of cholesterol in a group of mice subjected to diets rich in this component. 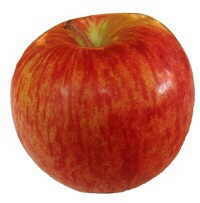 The study suggested the possibility of using this food as a way to reduce cholesterol in humans. It also demonstrated that orange peels will have up to 20 times more flavonoids than in this fruit juice because flavonoids do not dissolve in the liquid and are easier to assimilate, that those appearing on the pulp. 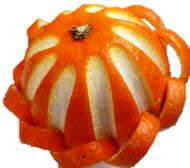 A piece of orange peel from time to time can help us lower our cholesterol. – Fucus: (Fucus vesiculosus) Once ingested, fucus forms a paste in the intestine. This paste is able to “wrap” cholesterol in the digestive tract by decreasing its absorption into the bloodstream and expelled through the feces. 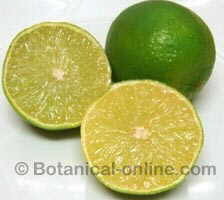 – Lime: (Citrus aurantifolia) Vitamin C helps reduce cholesterol and poor circulation, because of its antioxidant properties. (Drink lime juice a few times a day. It can be mixed with other fruit juices. Introduce a piece of lime in a glass of water to give it curative value and enjoy refreshing its medicinal properties). – Oats (Avena sativa) Besides not containing cholesterol, oats bran has the capacity, by its lifted soluble fiber content, to absorb the cholesterol of the intestine and to expel it with feces to the outside before this it is absorbed by the organism. It has been verified that the people who include bran supplements have lower cholesterol levels. – China cinnamon ((Cinnamomum cassia Blume = Cinnamomum aromaticum) polyphenols, the daily treatment, between 3 and 6 grams of China cinnamon crust helps reduce sugar levels in patients of diabetes of type II, or non insulin-dependent diabetes. According to some studies, cinnamon from China determined that the body does not need so much insulin to metabolize glucose. 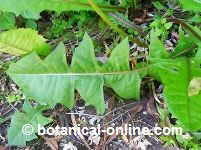 At the same time it is also shown to reduce cholesterol and triglycerides. – Rice ((Oryza sativa)T he presence of gamna- oryzanol in integral rice ensures that the ingestion of this cereal can become an aid to reduce the cholesterol levels (LDL) in the blood; it will increase cholesterol HDL and diminish the triglycerides. Anyway, those people who have high cholesterol levels (over 200 mg) should better resort to complements than contain this principle (see more information) or eat red yeast rice. More information about cholesterol natural treatment.